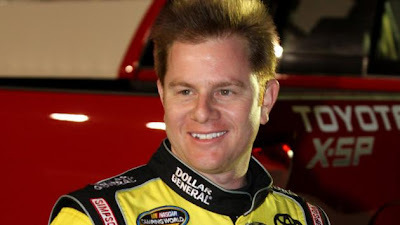 PHILADELPHIA (Reuters) - NASCAR driver Jason Leffler died from injuries suffered when his car slammed into the wall of a dirt raceway in New Jersey, state police said. The crash occurred during a race at the Bridgeport Speedway in Logan township in southern New Jersey, near Philadelphia, state police spokesman Sergeant Adam Grossman said. Leffler, 37, of Huntersville, North Carolina, was rushed to the Crozier Hospital in Chester, Pennsylvania, where he was pronounced dead at 9:02 p.m., police said. The raceway calls itself the "Fastest Dirt Track in the East." It consists of a spacious 5/8-mile high-banked dirt oval, where average speeds reach well over 100 miles per hour, according to the track's website. Leffler was a two-time winner of the Nationwide Series. He had been racing for over a decade, with experience in so-called midget race cars as well as the Indianapolis 500, where he placed 17th in 2000, his website noted. New Jersey State Police said in a Twitter posting that the accident was under investigation. "NASCAR extends its thoughts, prayers and deepest sympathies to the family of Jason Leffler who passed away earlier this evening," the organization said in a Twitter posting. "For more than a decade, Jason was a fierce competitor in our sport and he will be missed."